Thirty-nine plates, 23 cm. diam. Twenty-six soup-plates, 23.5 cm. diam. A set of six, four and a pair of circular dishes, 21.3, 23.5. 27.3 cm. diam. Ten small side dishes, 16 cm. diam. Four small deep side dishes,, 16 cm. diam. A set of four small matched bowls, 11.4 cm. diam. 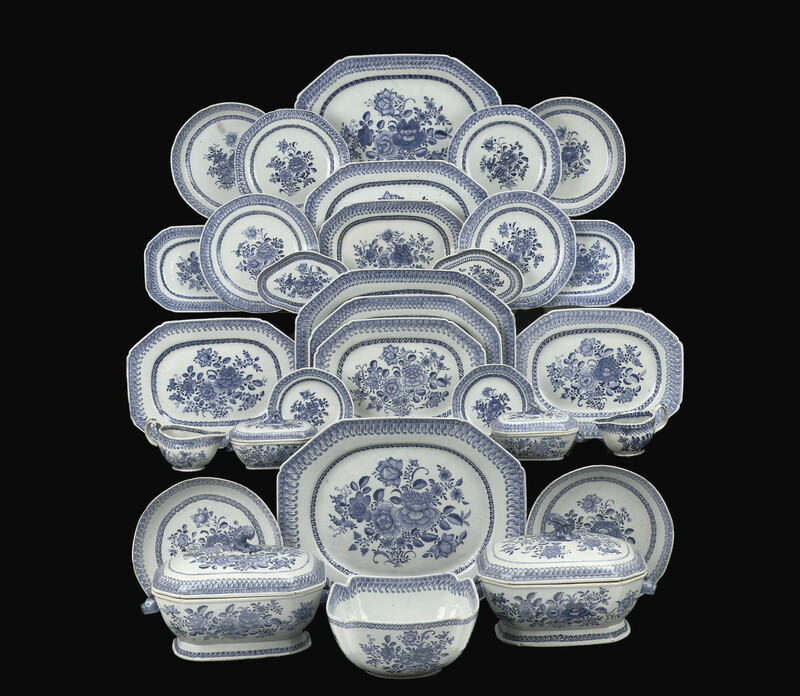 A set of eight matched side dishes, 16.5 cm. diam.